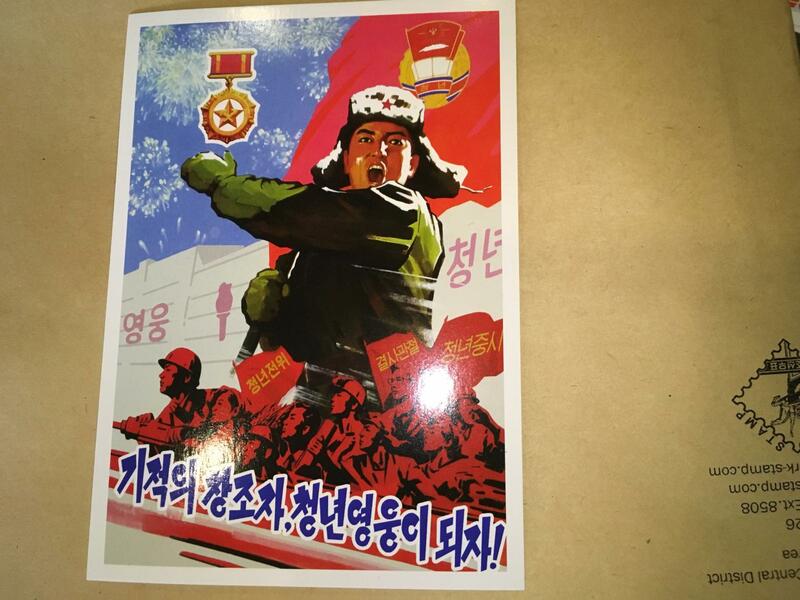 Colorful, fiercely militant and overwhelmingly ideological. 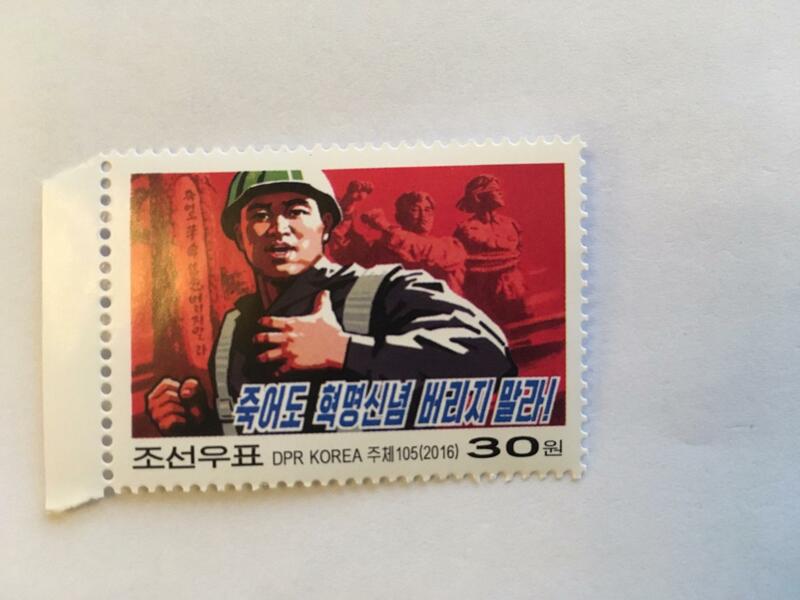 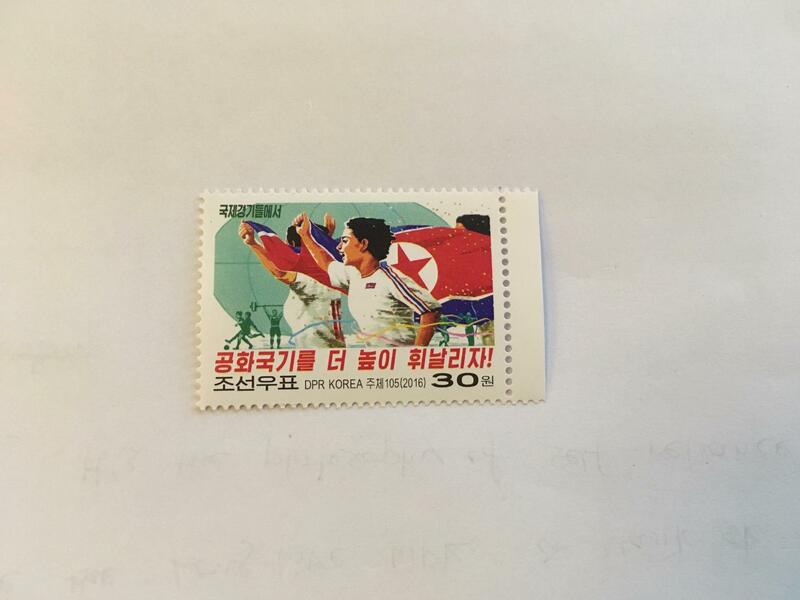 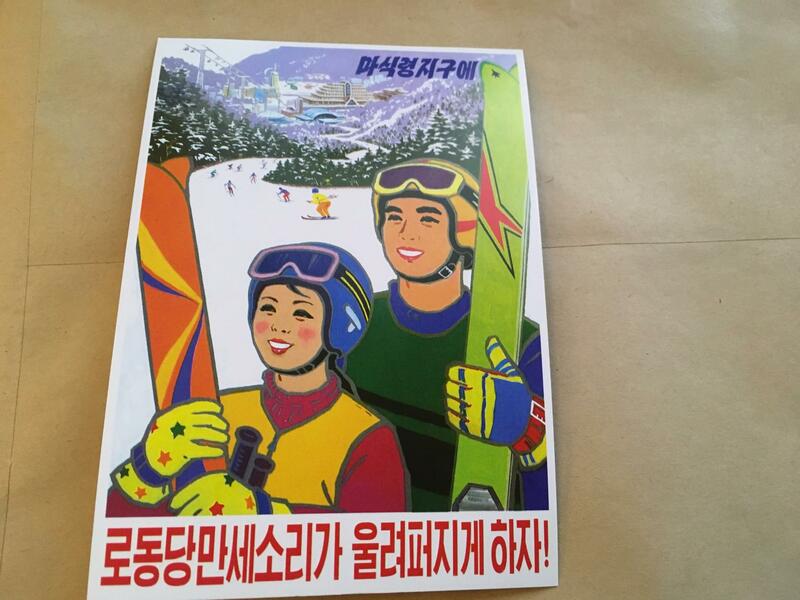 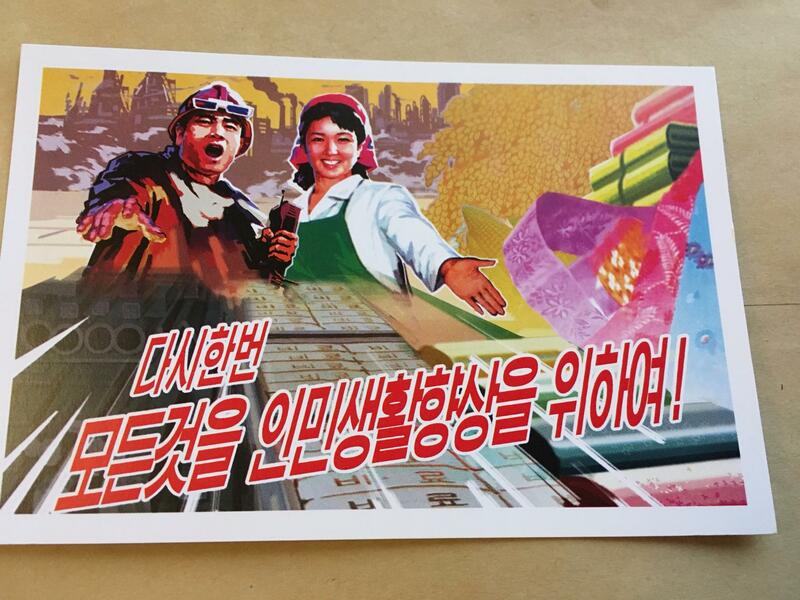 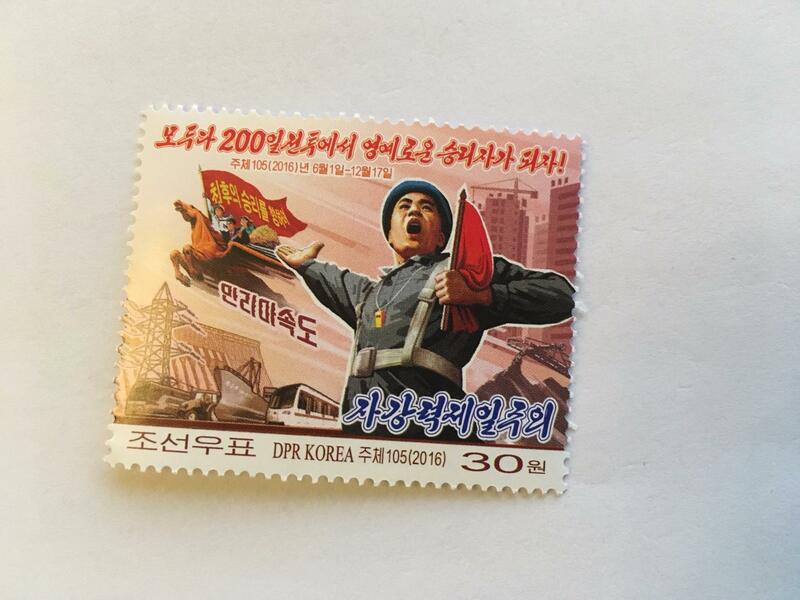 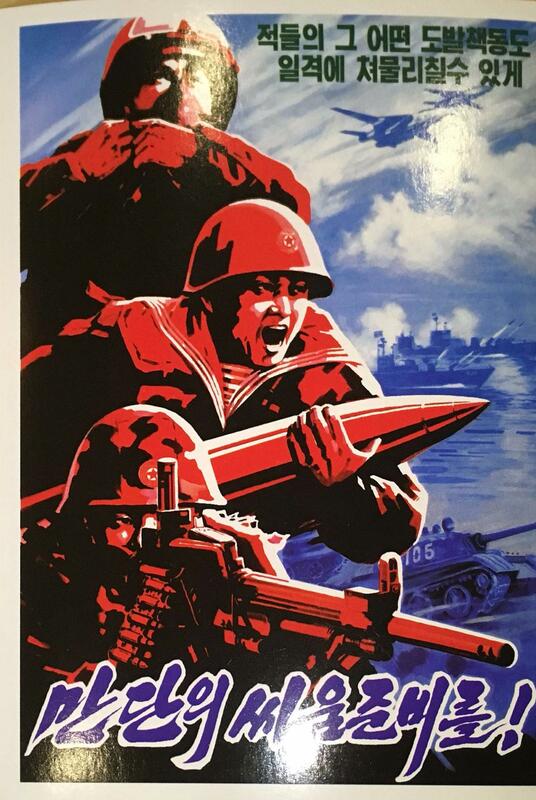 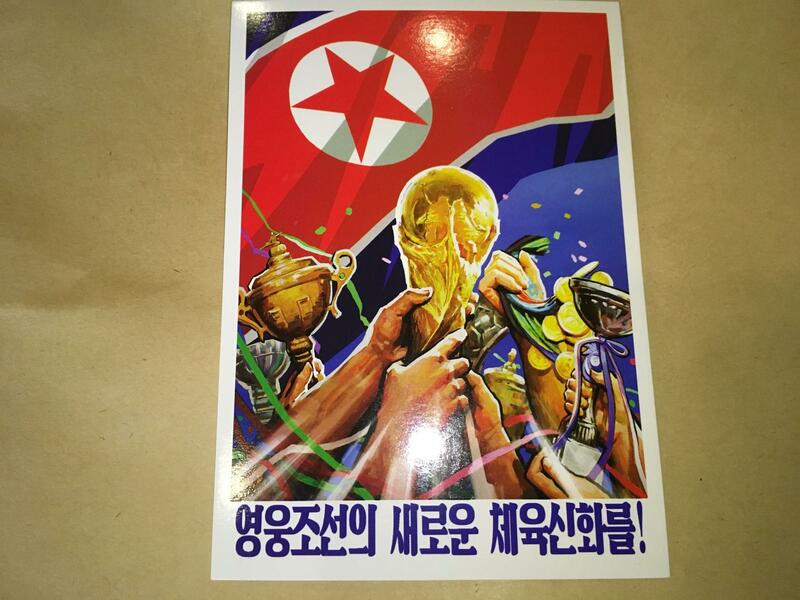 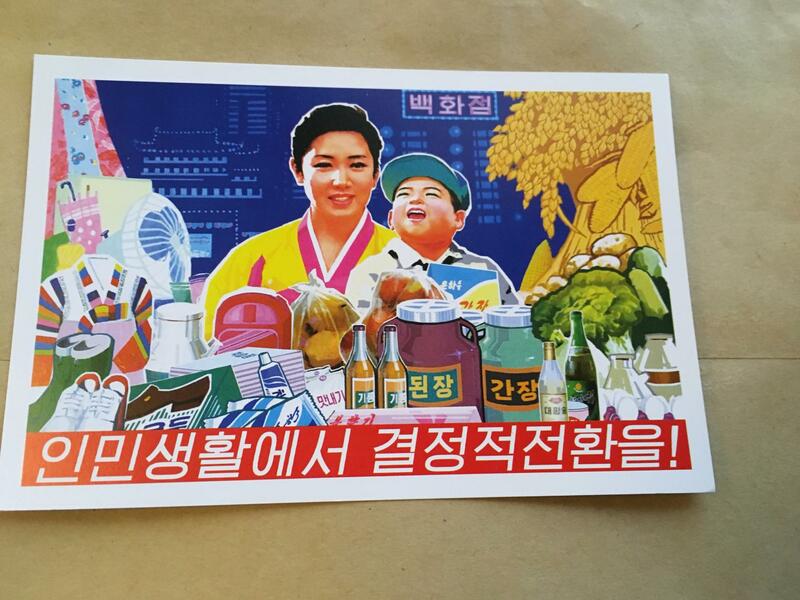 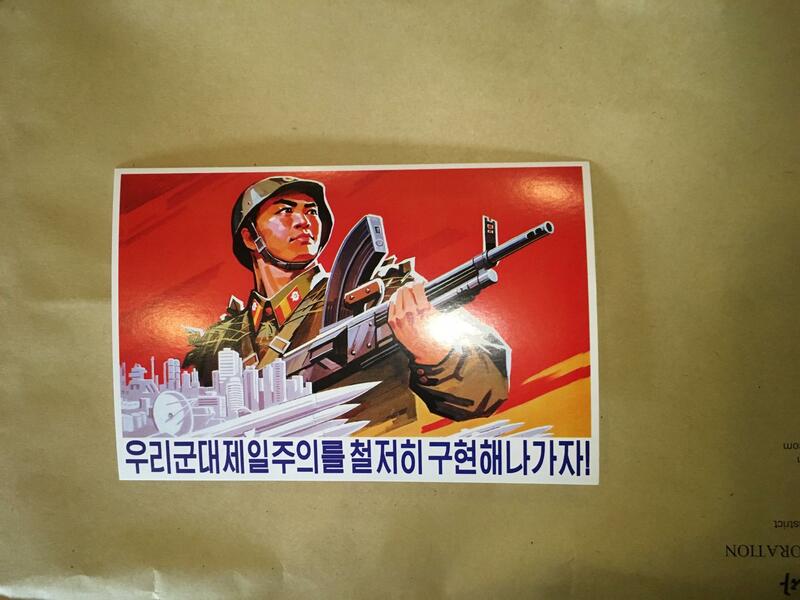 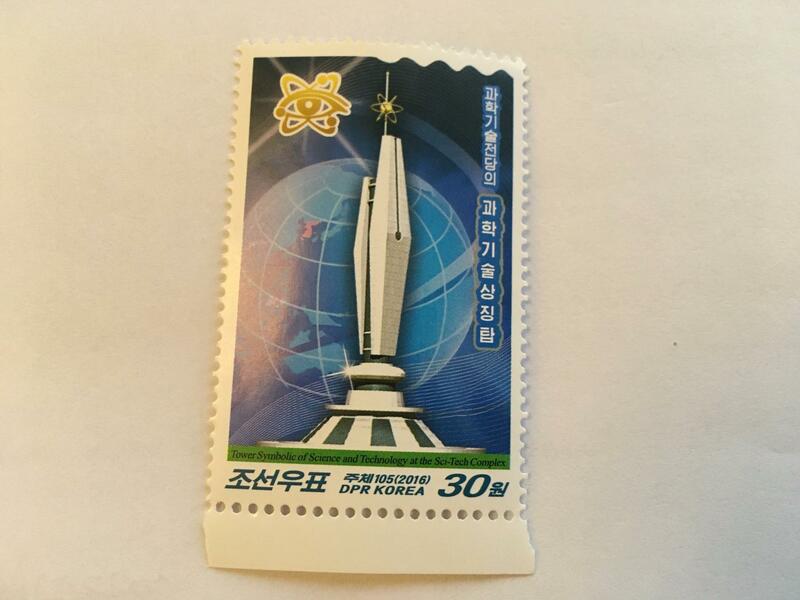 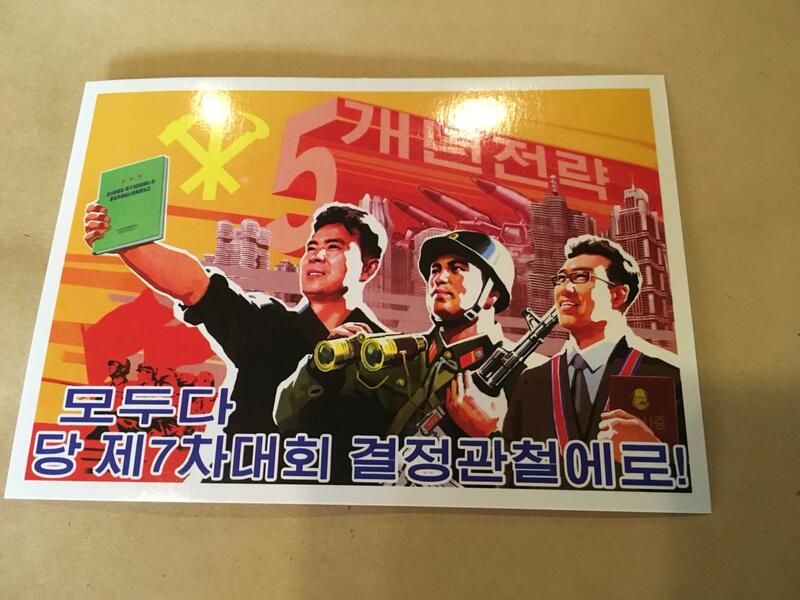 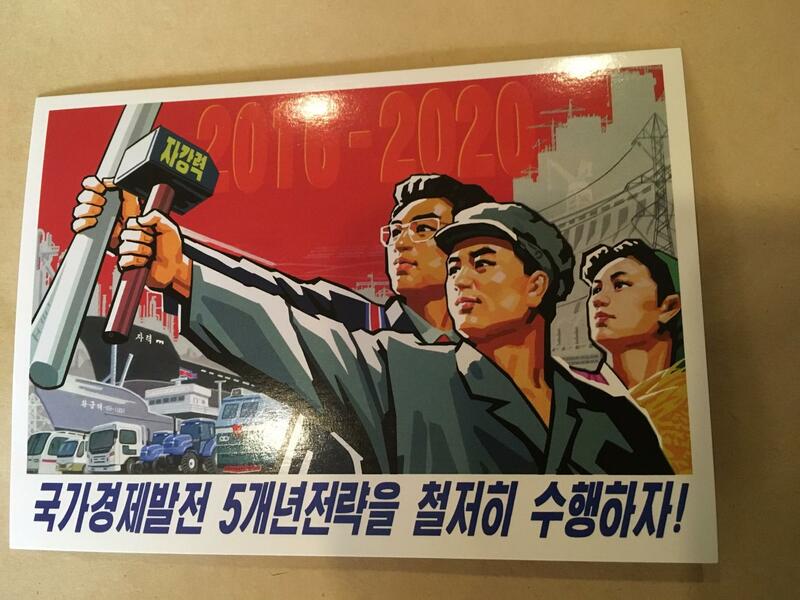 Locally produced postcards and stamps are truly the definitive souvenirs of North Korea. 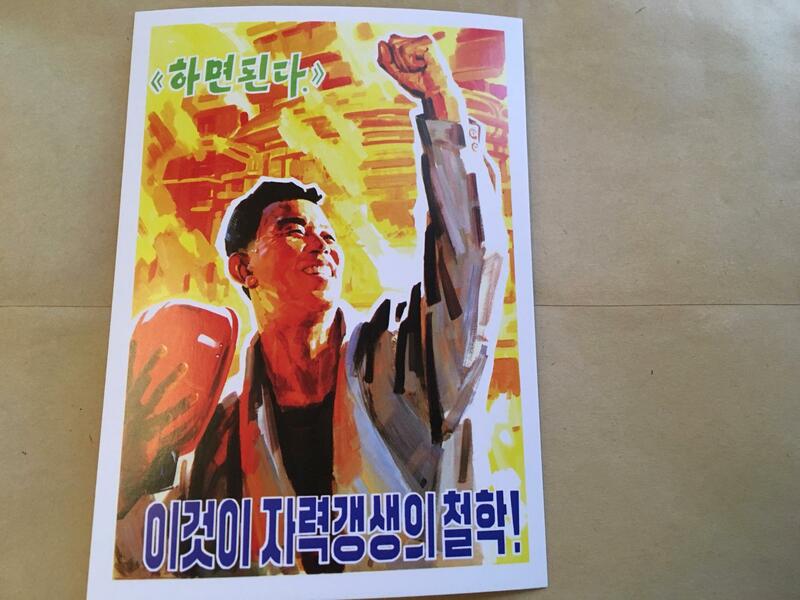 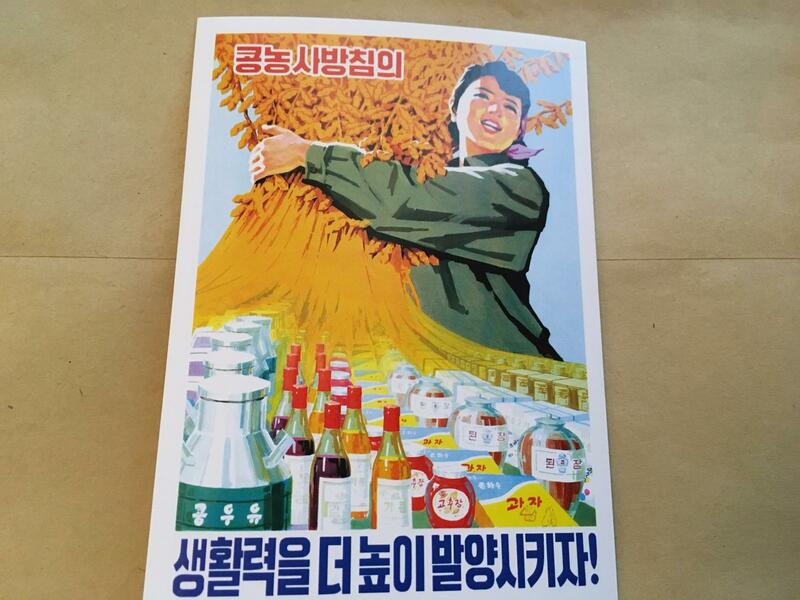 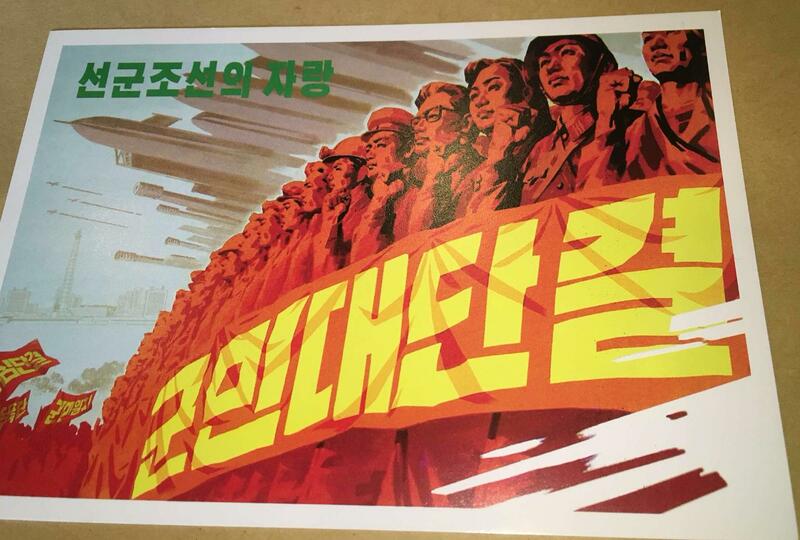 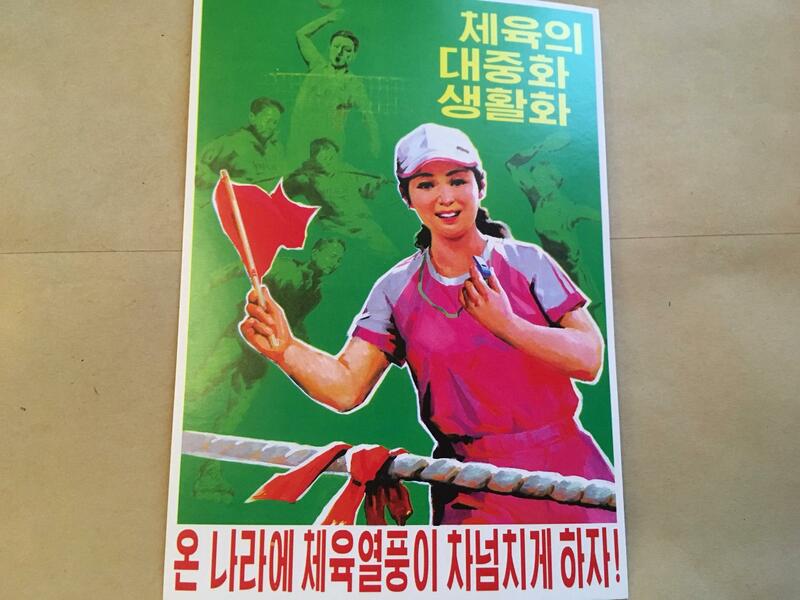 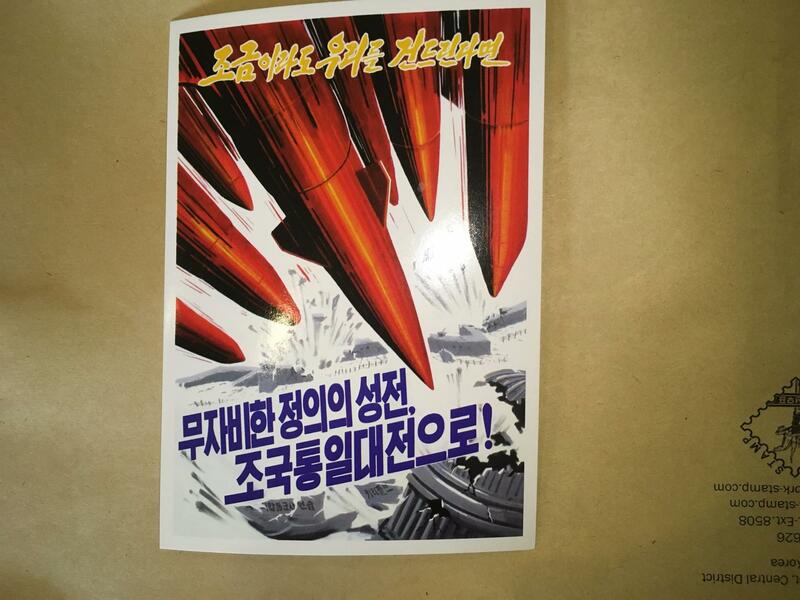 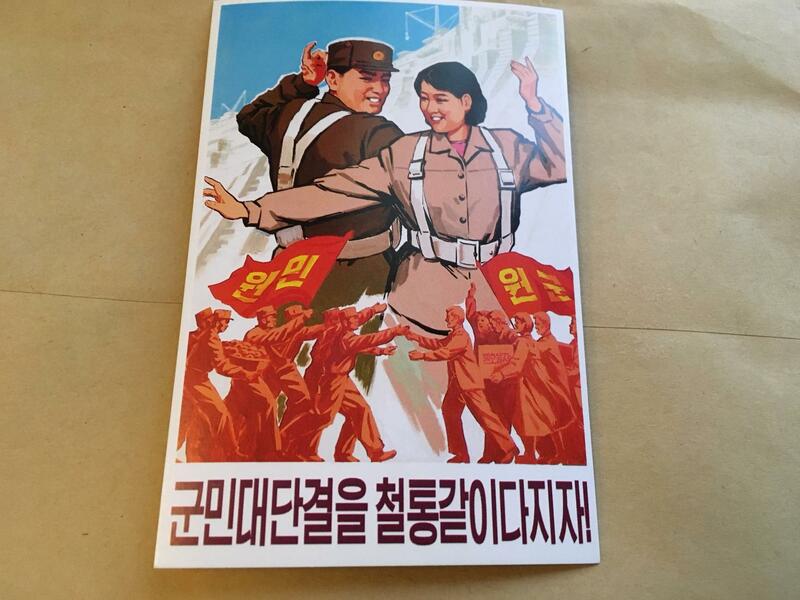 The artwork and slogans provide insight into the revolutionary history, ideals and goals of the Korean people. 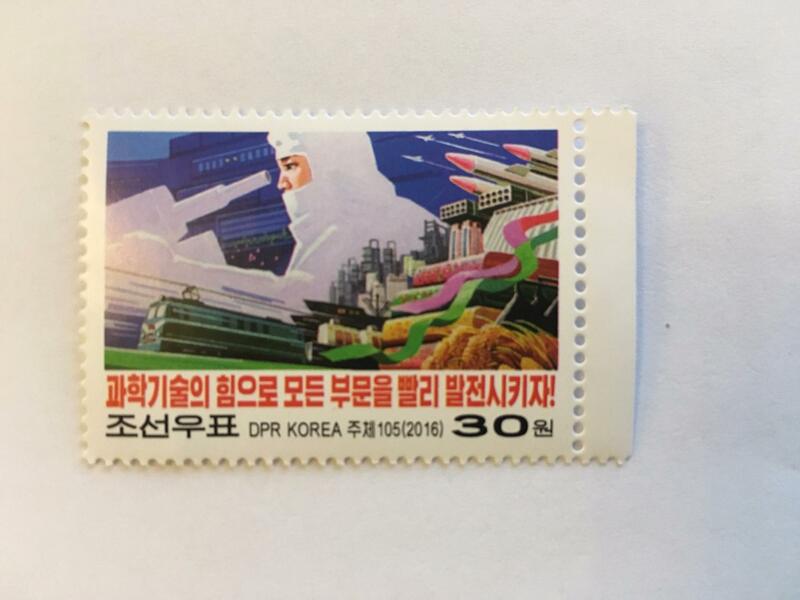 This doesn’t always mean anti-American sentiment or nuclear launches, references are also made to governmental policy, sporting achievements, architectural feats and agricultural prosperity. 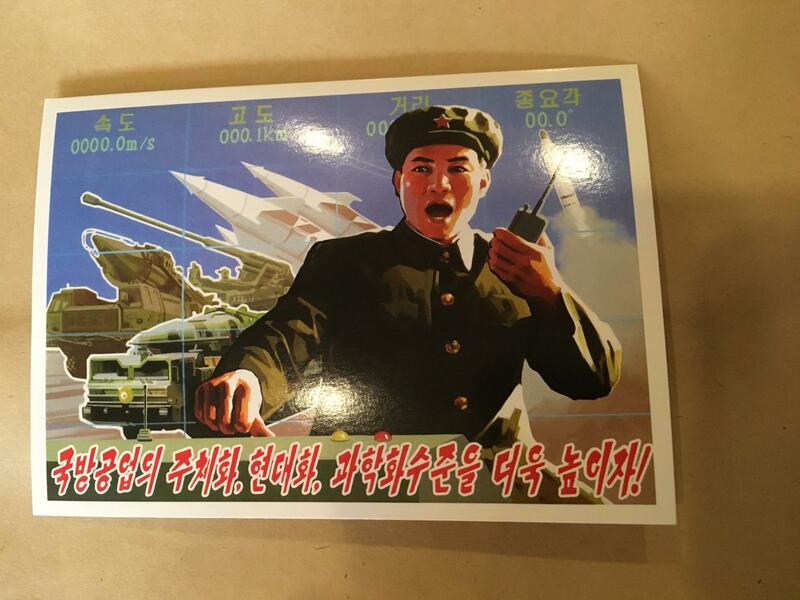 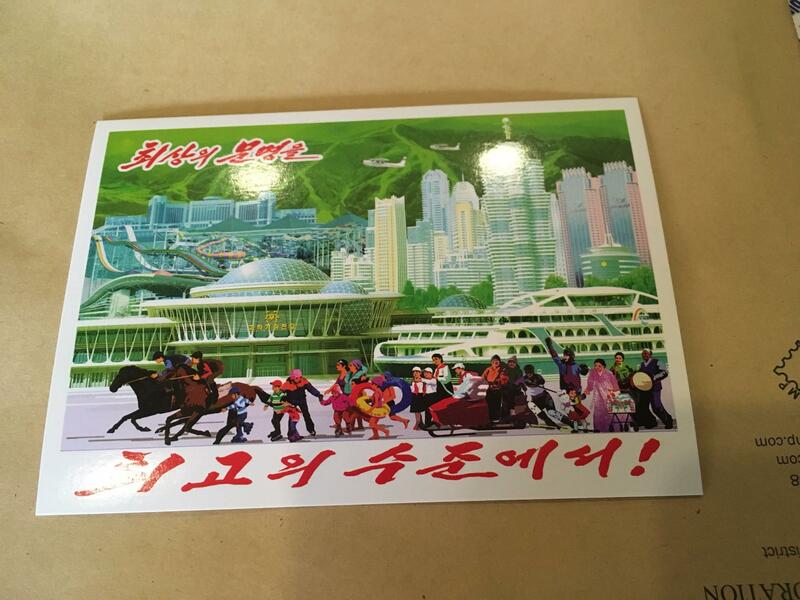 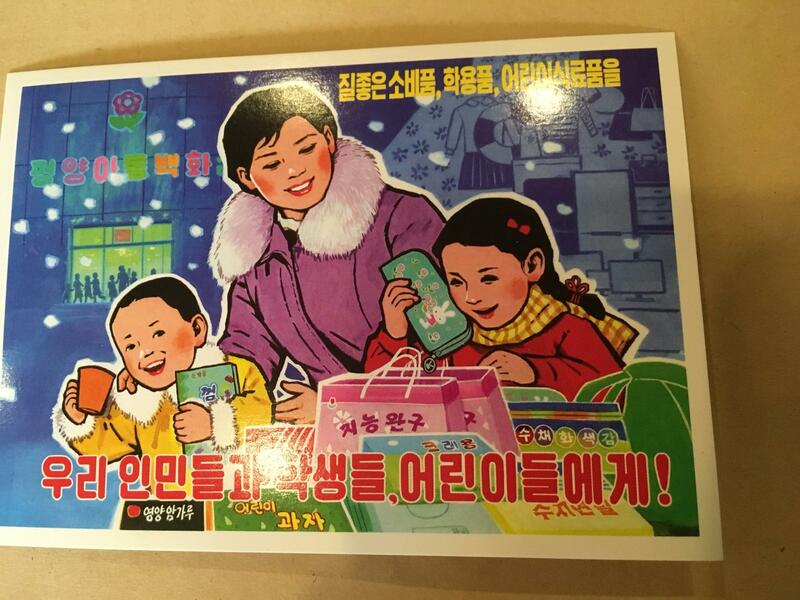 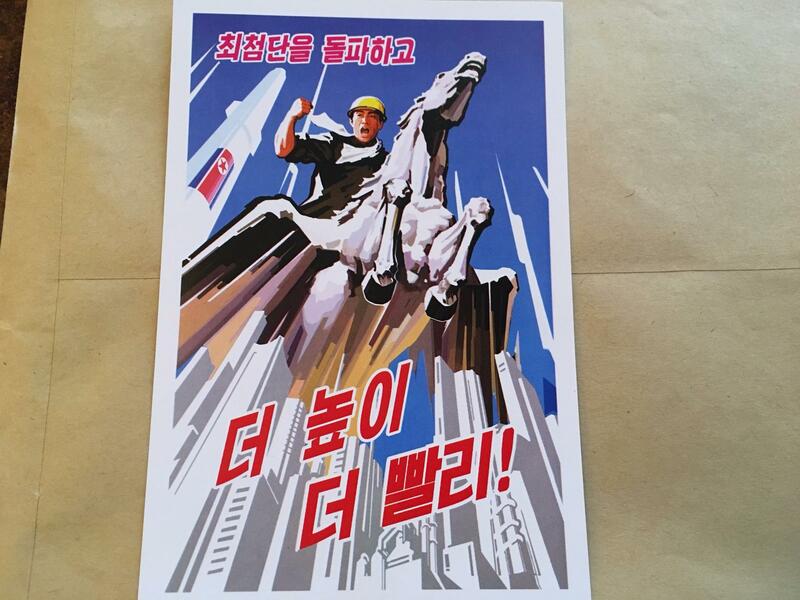 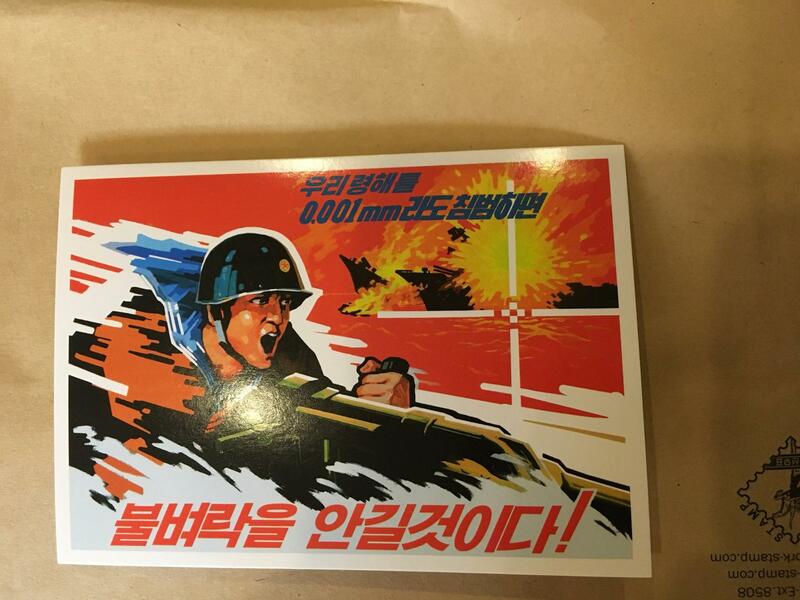 On a tour to North Korea you’ll have ample opportunity to pick up postcards like these of your own. 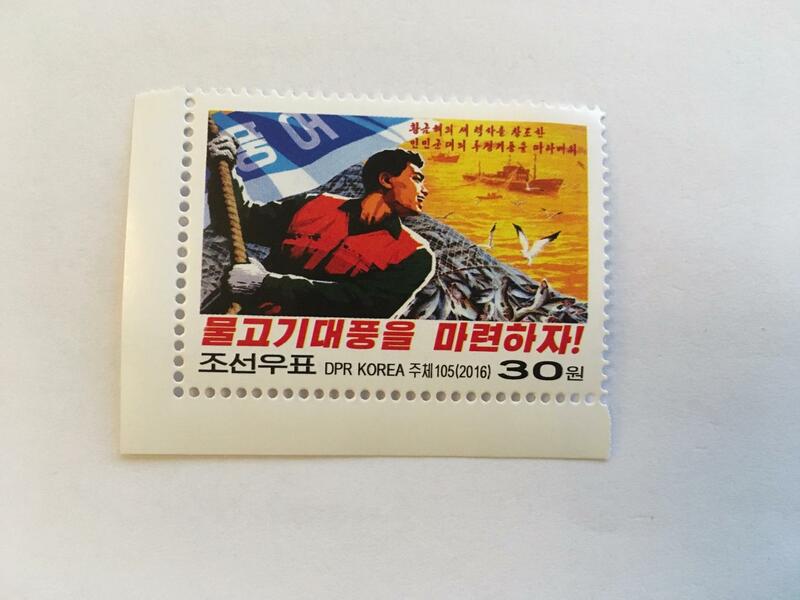 Here are some recent examples we took home from Pyongyang!